"Stilstand is achteruitgang" is a Dutch proverb meaning as much as stagnation is decline. 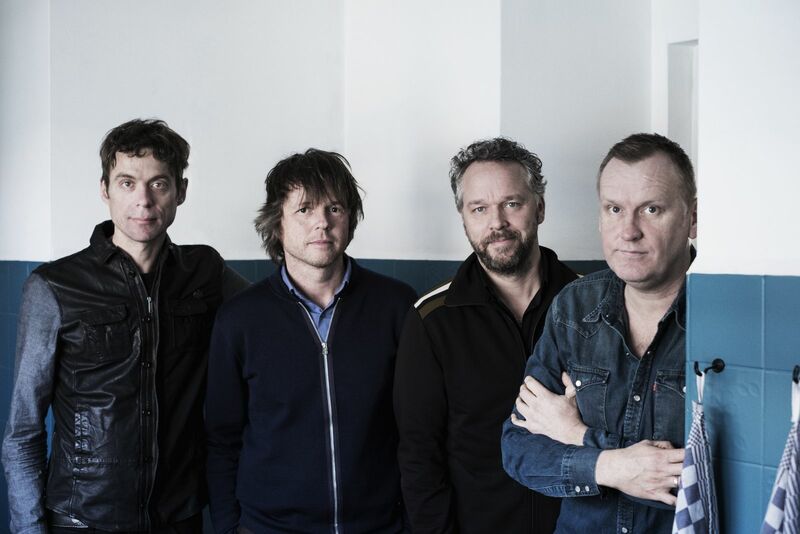 Johan split up after the release of its fourth album '4' and the tour following it. I remember hearing Jacco de Greeuw telling it on stage in Patronaat, Haarlem, to the obvious chagrin of at least two of his band members. That was a few years before this blog started. In 2017 there were some rumours about the band getting back together or at least De Greeuw recording new songs and early spring 2018 here is the result. So back to the beginning: Is stagnation decline? It is 22 years ago I first heard songs by Johan and saw them play live in the LVC in Leiden. A fresh new band with some fine indie rock songs. After a silence of five years 'Pergola' followed, which I think is still the band's finest album. Everything fell together. That basic idea what Johan is, was worked out best another five years later on 'THX JHN'. '4' was nice, after only three years, but a, pleasant, continuation not a highlight. It is 2018 and here's Pull Up. It opens in the finest of Johan style with the single, appropriately titled, 'About Time'. At least if I had expected anything new by Johan, which I had not. 'About Time' is exactly what every Johan fan, having been in a barren land for too long, expecting it to last forever, would want to hear from the band. That light, almost weightless indiepoprock fills my ears, fills my brain and the world is suddenly totally balanced. It may be a musical escapism, but it just doesn't come much better as in a beautiful Johan song. Settling into the album I hear that bittersweet quality many Johan songs have. 'What A Scene' is not a perfect nor outstanding song. It simply holds that Johan element. Part the voice of Jacco de Greeuw, part the melancholy that is an integral part of the Johan sound. 'Just Because' is even more just that. A song that is more atmosphere than a full blown song. All that is needed is there, once I'm brought into that Johan mood. A lot of keyboards instead of guitars as well. Somehow this shows me that this Johan record is more mature. A new phase in our relationship. 'Make Sense' may open with a 60s sort of guitar riff and the guitars are all around once more, it is a different song than the "old" Johan. De Greeuw sounds somewhat tired, a bit resigned to things being as they are. The last bit of youthful exuberance stored in that riff. In the lyrics there are some references to pills, no more thrills, depression, facing demons, exploding mind. Without doubt all very autobiographical. No, luckily I do not know what you are talking about. But it must be a dark, dark place listening to a song like 'Anyone Got A Clue'. I can only hope that it is a relief to be able to ball all this darkness into a song like this. Strength combined with vulnerability is what Johan serves up here. The sound is so strong, yet could somehow break at the touch. And I know that Johan has added another extremely strong song to its oeuvre. 'Dream (On My Mind)' is up next. The gas is pushed in, the mood definitely not lifted. Darkness is still all around. The song is almost scary. The first great guitar solo of the album is released. The new lead guitarist, Robin Berlijn of Fatal Flowers fame, finally can show some of his skills for real. 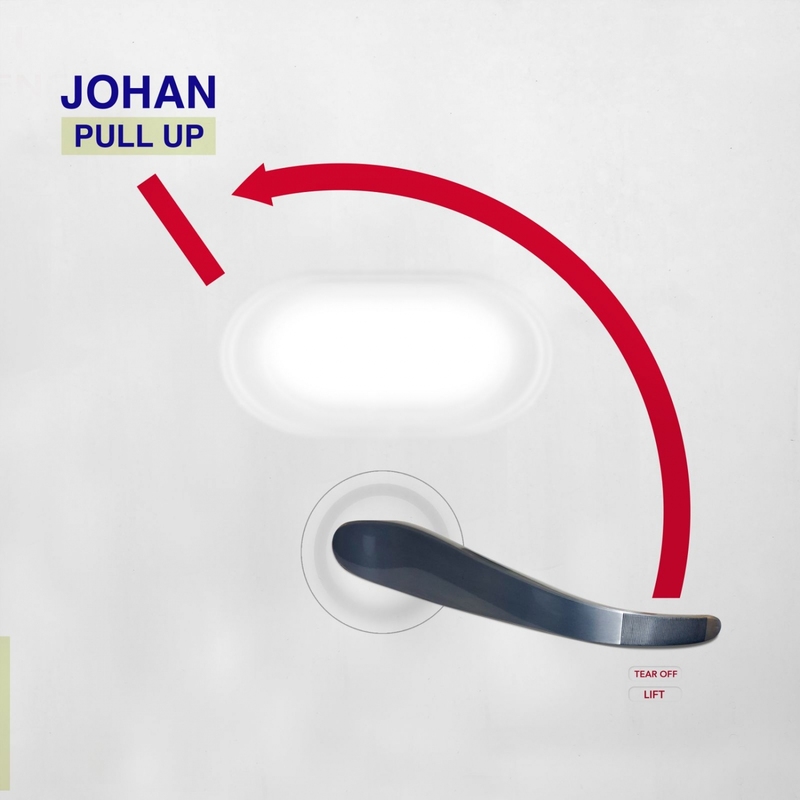 By then it is clear that Johan is back for sure. The question above is answered with a definite no in the case of Johan. Jacco (or Jacob) de Greeuw has brought himself out of the darkness back into the spotlights. Time will tell whether he likes it there or draws the conclusion, once again, that this is all he can achieve with Johan. It seems this is it, but who can successfully explain that to an eternal doubter of his own abilities? Let me give it a try right here and now. Mr. de Greeuw, the world is just this little bit prettier with your (new) songs around and will be forever. They are little rays of sunshine, warming us all. And I thank you for that.